The Antonio Conte Real Madrid saga looks to have taken a fresh twist as he reportedly considers taking the Manchester United job as an alternative to the likely vacancy set to become available at the Bernabeu. 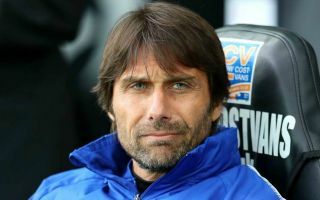 The Italian tactician has been out of work since leaving Chelsea at the end of last season, and Goal are among the numerous sources linking him strongly with replacing the struggling Julen Lopetegui at Real Madrid, possibly as soon as today. However, the Manchester Evening News quote a source close to Conte, Giovanni Guardala, as claiming the ex-Blues manager is currently London-bound after a holiday, and keeping an eye on the situation at Old Trafford. There has been some talk of Jose Mourinho also being in danger in his job this season, though United’s recent improvement may have bought him a bit more time. Still, it seems the potential United project would be one that interests Conte, with the 49-year-old described as being a fan of a number of their players. ‘Conte is going back to London after his holidays,’ Guardala said. ‘There are many rumours about his future, Real Madrid is tempting him but Manchester United is a team that Conte really likes. Antonio Conte to Real Madrid or Manchester United? ‘There are players like Paul Pogba, whom he coached at Juventus. Or Alexis Sanchez, (Ander) Herrera and (Romelu) Lukaku, three players he’s always wanted to sign. Is Antonio Conte the right man for Manchester United? This is not the first time Conte has been linked with United, with a Mirror translation of a Corriere dello Sport report earlier in the season also suggesting he could be in the frame. MUFC fans would probably prefer a manager more different to Mourinho and more committed to attacking football, though many would likely welcome the change to a younger tactician more in tune with the modern game. It’s also worth noting that Conte got Paul Pogba playing some of the finest football of his career when they were together at Juventus, and everyone involved at Old Trafford would surely love the Frenchman to play like that for United, which he’s never really come close to in Mourinho’s unconvincing system. Is Antonio Conte the right man for Real Madrid?